This art deco coat hook features the streamlined styling made popular in the 1920's and 30's. Durable brass is hand-finished with our Antique-By-Hand process for an authentic aged patina. This art deco coat hook features the streamlined styling made popular in the 1920's and 30's. 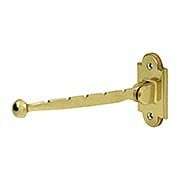 Made of solid brass construction for durability, it is available in two finishes. Sleek and simple, with a sharply tapered profile, our Streamline Picture Rail Hook is a great choice for homes of the 1920s and 30s. 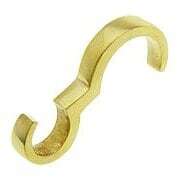 Made of solid brass it is pressure formed for added strength. Choose from an array of classic finish options. 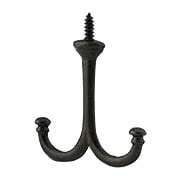 Though it dates from the 1880s, this stylish hook has a clean and modern appeal. The crisp design - based on an inverted "C" - is suited to classic, craftsman or contemporary interiors. 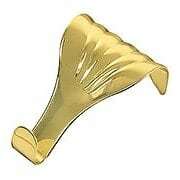 Cast from solid brass, this sturdy hook is ideal for large or heavy items! 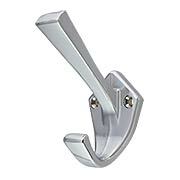 The 7-Inch Valet Hook is a practical space saver ideal for closets, wardrobes, bathrooms, or mudrooms. 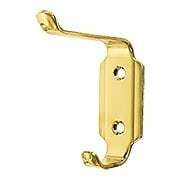 This retractable accessory comes in an array of popular finish options. 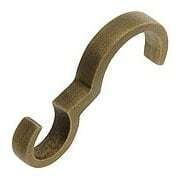 The Angular Utility Hook (1-Inch Center-to-Center) adds crisp style to your bedroom, kitchen, or bath. Cast in zinc, this minimal design is suited to a variety of interiors. Clean and simple, our Double Wardrobe Hook is a popular choice for homes of every style. 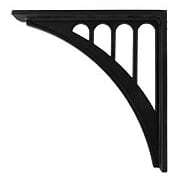 This timeless design is made of solid cast iron, and is ideal for use in your closet, cabinets, or kitchen cupboards.